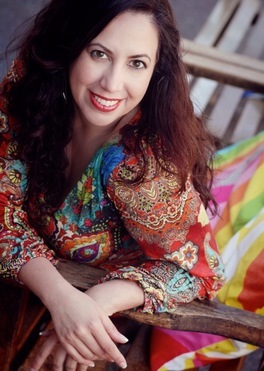 Marcela Liliana Veron is a Soul Love Intuitive helping many women transform and heal their relationship to love, deepen intimate communication and amplify their inner beauty through feminine embodiment, while feeling more grounded, sensuous and soulful in the process. Marcela has enjoyed working with women for over 12 years, counseling them on personal and relationship issues. She continually appreciates the opportunity to assist women in their process of expanding awareness and strengthening their inner guidance -- tapping into the nature of their situations to access the potential to expand, overcome challenges and acknowledge their essential wisdom throughout their journey. Marcela has also coached women on accessing, developing and visioning their intuitive feminine nature. We'Moon has been a great influence on many women all over the world. They inspire women to connect to their own natural rhythms and to the love of arts and creativity. I offer them here to honor the influence and love that I've gain from their wisdom and devotion. Pendulums are used for healing work, such as to clear and balance chakras, energetic bodies and spaces. Other examples of their effectiveness are for reading space and connecting to the specifics of a situation or problem. Many Geomancers, Holistic Wellness and Feng Shui Practitioners incorporate them in their work and use them as tools in their practice. For more information on background, usage, and care -- see The Lily Pond Shop's Pendulum page. Do not go to the garden of flowers! O friend!